An affiliate’s direct link domain is submitted for first-time approval. When a previously approved direct link domain has been updated by the affiliate from within their Affiliate Area. This email will show the old domain and the new domain. The email contains the domain submitted, the affiliate who submitted it and a link to view the direct links in the admin. The Accept link under Actions is clicked on the main Direct Links admin screen. The status of the direct link is changed from Pending to Active on the edit direct link screen. The email contains a message that their domain was approved. 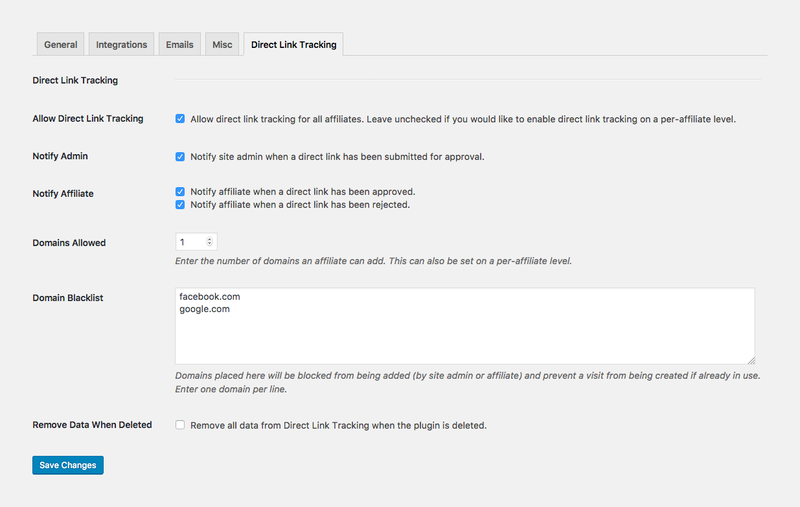 The status of the direct link domain is changed from Pending to Active on the edit direct link screen. The email contains a message that their domain was rejected.